Belknap Cabin Our newest rental, located just across the historic Belknap Covered Bridge. Belknap Cabin was built around ten years ago; with a fantastic use of exterior cedar siding and wall to wall, floor to ceiling wood interior. 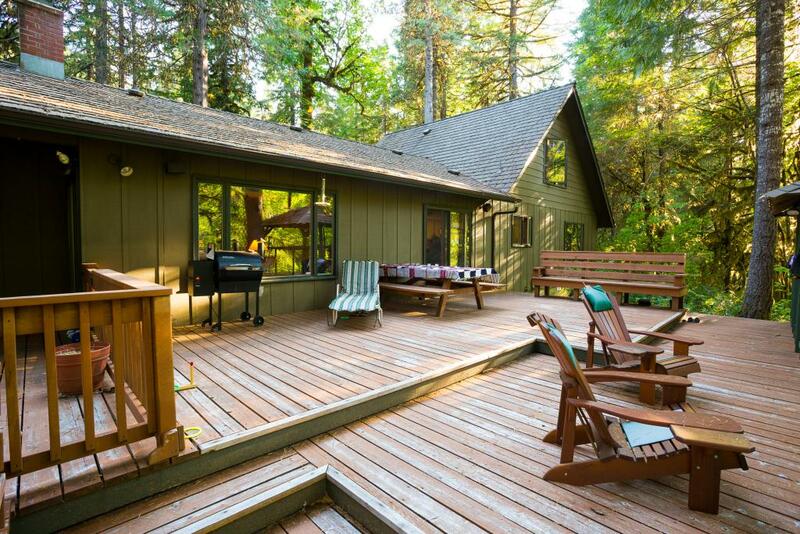 There's a good size screened-in porch and a lovely outdoor deck, with a gorgeous view of the McKenzie River. Belknap House This very spacious home is perfect for a family vacation. It has a large master bedroom and a nice two twin bedroom for the kids upstairs. The screened-in porch is more than big enough for dining, as well as "outdoor" sleeping in the summer. It also has a deck big enough for a dinner party, with a great view of the McKenzie River and the Covered Bridge. Country House Built nearly 70 years ago, this truly grand cabin is unbelievably sprawling. With a large Master Bedroom and Bath, two upstairs Queen Bedrooms, and up another set of stairs above the family room, a five bed "bunkhouse"; this place is fantastic for a large family, or for several couples, or maybe a retreat. Coyote Castle This beautiful place sits on the Deschutes River near Bend, Oregon. 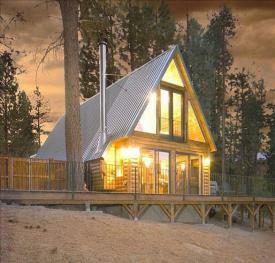 It's A-Frame style and double-decker patios are sure to please. It's the perfect restful getaway, or a great home base for hiking, biking, fishing, or whatever outdoor fun you have in mind! Goose Creek The exterior of this house is nice, the interior is phenomenal! 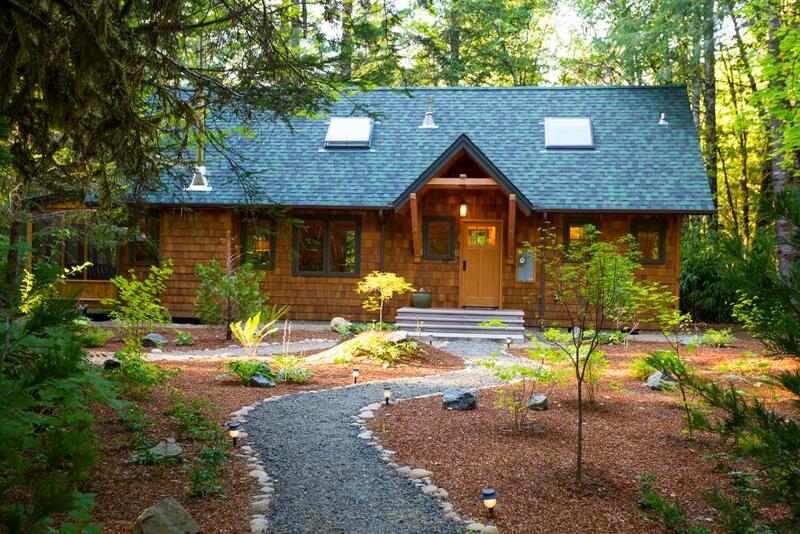 The owner's attention to woodsy, rustic detail is beyond compare. It's perfect for a larger family, or even three couples, with plenty of dining and living space! McKenzie Escape Sitting on nearly an acre of tree-lined ground, the Escape is true to it's name. It's spacious interior matches it's outdoor "huge"ness, as an awesome setting for a large group. We use this property quite often for marriage retreats, as well as big families! It's also one of two pup friendly spots. River Haven So close to the McKenzie River you can feel the refreshing whitewater spray! With a covered deck and two extra large picture windows you can't miss the stunning views of local wildlife and the occasional rapids enthusiasts happily floating by. Rainbow If you like that old style log cabin feel (and most of our guests do); this secluded property is for you. It's perfect for a couple's weekend getaway; or stay a week if you like! River House Over the last few years our most rented location! 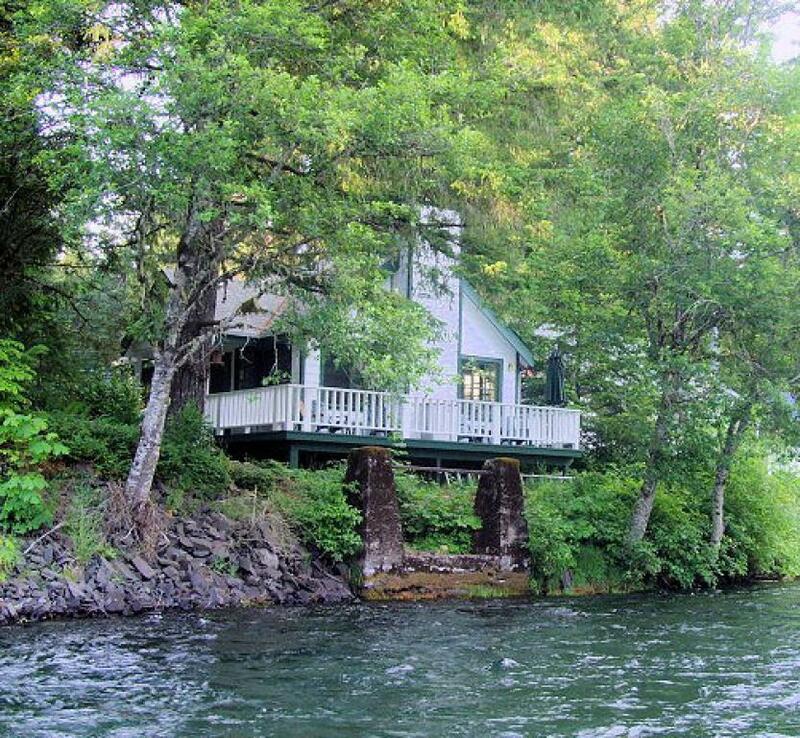 This quaint cottage has it all, from it's handy, heated, covered deck to it's perfect McKenzie River view. 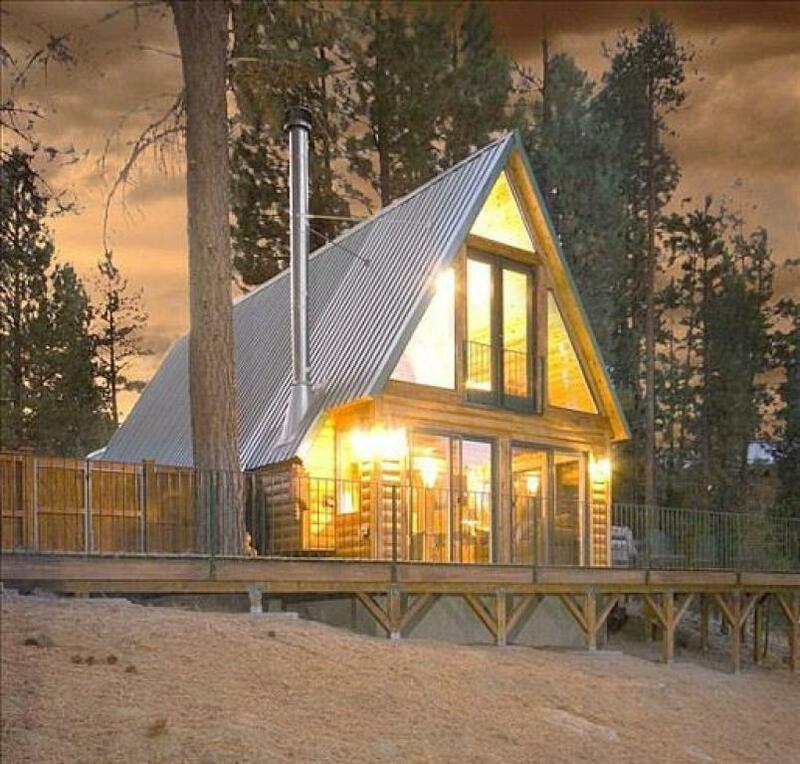 This is the perfect couple's cabin and pet friendly, too. Salmon This one is so close to the water you could "almost" fish off the spacious deck. On the other side of the McKenzie River the most noise you'll hear are the rapids and the occasional Blue Jay. 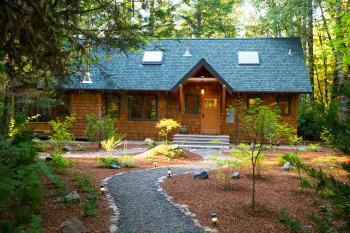 Steelhead With a full size kitchen and laundry, why not stay a week or two. Two full size patio doors off both the dining room and the King Bedroom ensure fantastic views and plenty of fresh mountain air! Water Wheel With a nice size King Bedroom and picturesque window views, Water Wheel is great for a cozy winter stay by the fireside, or restful summer nap in the sun on the river front deck.. The Holiday Farm Cabins are the ideal place for a vacation, offering the best in McKenzie River lodging, with beautiful riverside cottages. Enjoy soaking up the peaceful sounds of the river and wildlife from your cottage deck. 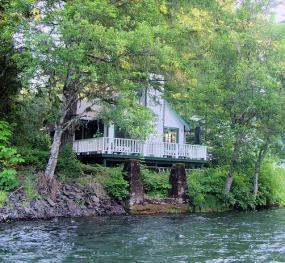 We're sure to meet your lodging needs with one of our twelve wonderful cabins and houses located on or near the beautiful McKenzie River (Coyote Castle is on the Deschutes River), available for rent year-round. We're now accepting online booking, so check your cabin or house availability and book today!